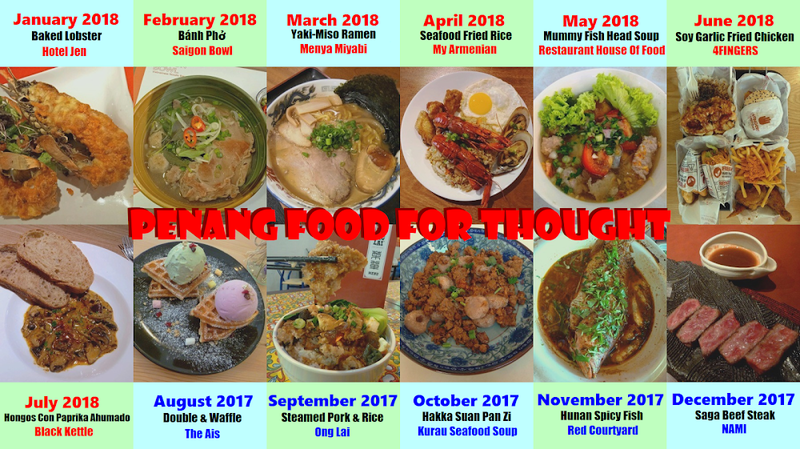 This article is part of my Ramadan 2018 compilation. 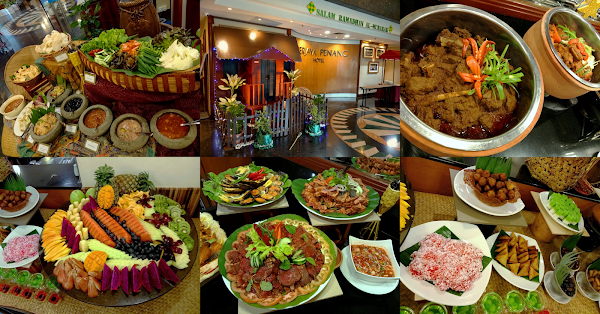 Special thanks to Berjaya Penang Hotel for extending this food review invitation. 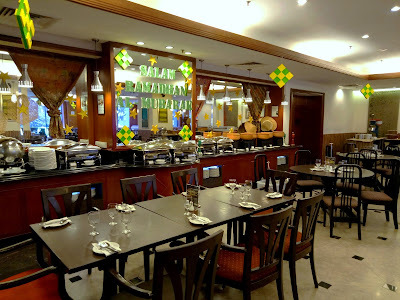 Berjaya Penang Hotel is located at Burmah Road (Jalan Burma). Formerly known as Georgetown City Hotel, the 4-star hotel shares the same building as Midlands 1-Stop. 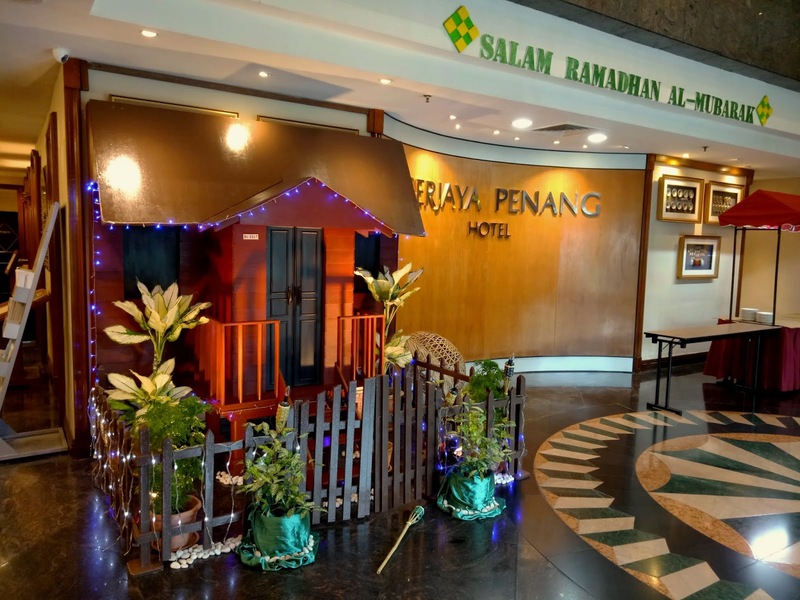 Taking advantage of its close proximity to Penang Adventist Hospital, Berjaya Penang Hotel is a popular choice of accommodation for the medical tourism sector. Right next to the hotel's entrance is its main restaurant, The Cafe. For the impending Ramadan season, the hotel is serving Ramadan buffet dinner from 19 May 2018 to 13 June 2018. The menu features more than 80 dishes with emphasis on traditional Malay cuisine and local hawker fare. Bubur Lambuk is an essential dish when breaking fast in the evening. 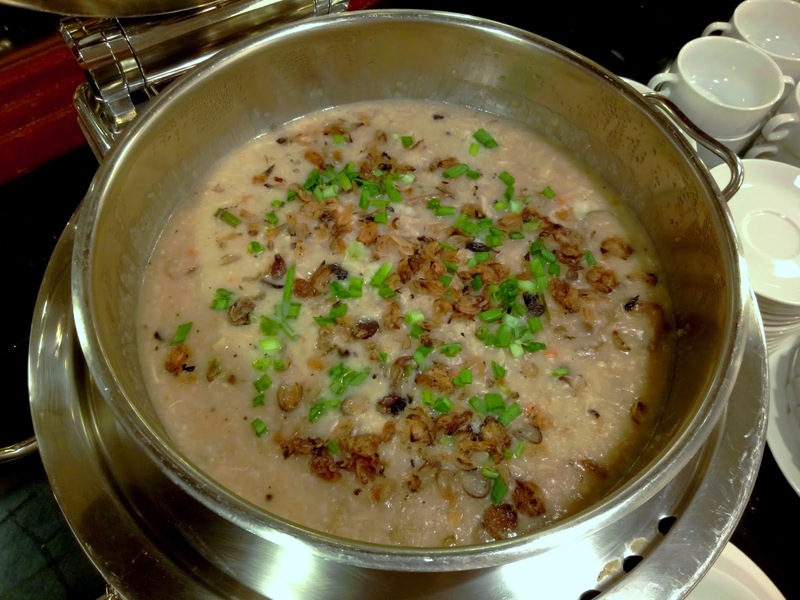 The rice porridge is cooked with chicken and spices, making it very appetizing indeed. Alternatively, diners can also build appetite by taking a bowl of Sup Tulang Lembu (oxtail soup). 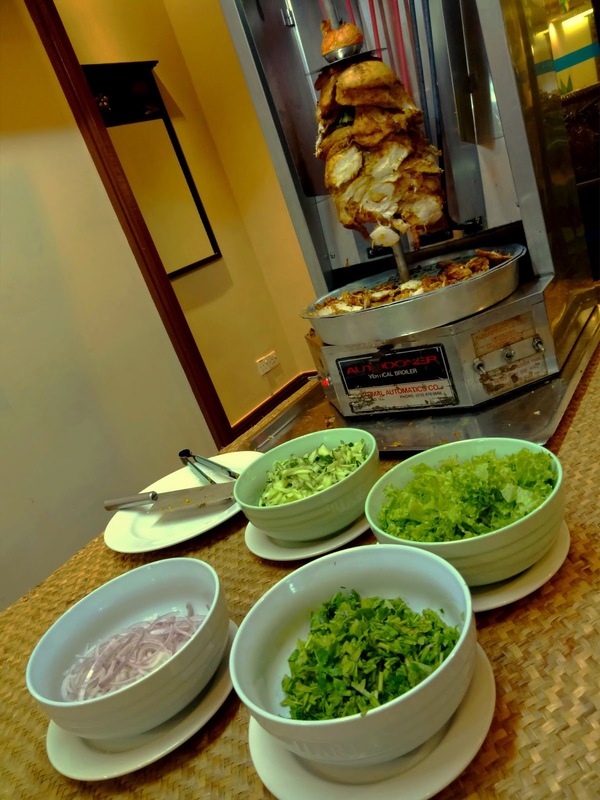 The Cafe's grilling station features succulent beef, mutton and chicken that have been marinated well. Meanwhile, seafood choices are ikan keli (catfish), ikan pari (stingray), shrimps and mussels. 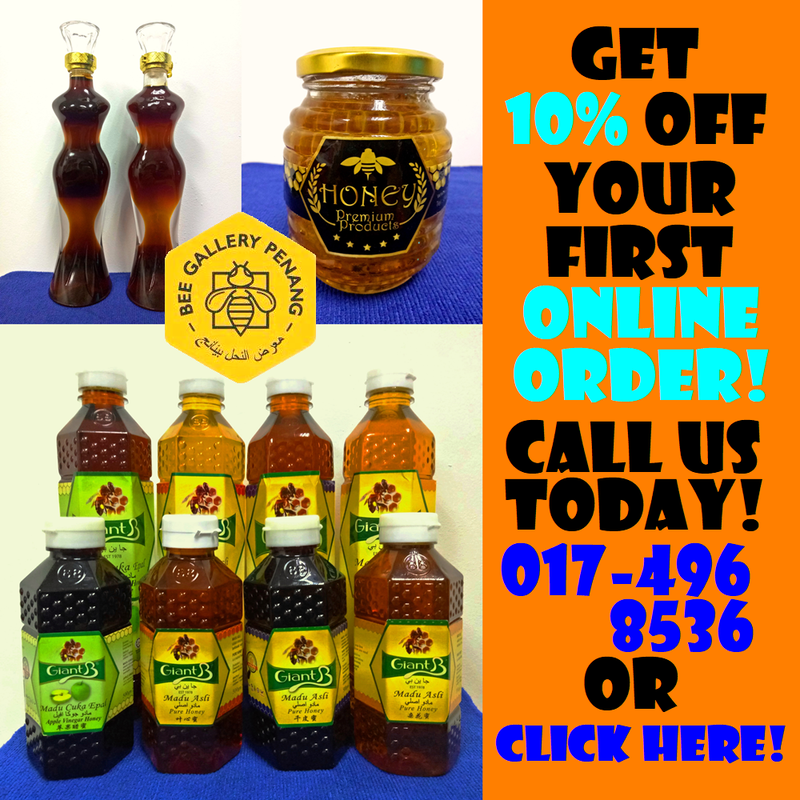 Black pepper sauce, lemon butter sauce and air asam (tamarind sauce) are provided as condiments. Chicken Shawarma is an iconic Middle Eastern fare. Marinated chicken is cooked on a vertical spit, which rotates slowly so that it is heated evenly. As the chicken becomes cooked, the outer layer is shaved off the block and stuffed into pita bread. Hummus is used as the dressing, but I feel that it is too salty for me. Daging Rendang was originally a Minangkabau recipe but it is now widely enjoyed across the mainstream Malay community. 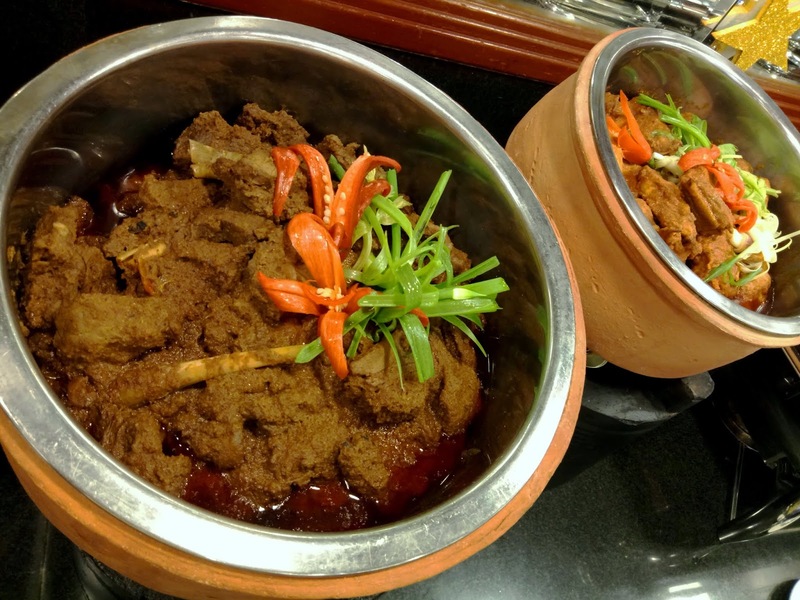 The dish consists of beef slices that are slow-cooked with coconut milk and spices. The cooking process takes several hours, therefore this dish is traditionally reserved for special occasions only. As for poultry, one may want to try the succulent Ayam Masak Merah. Moving on, Belitung Goreng Bercili is a delicacy indeed. 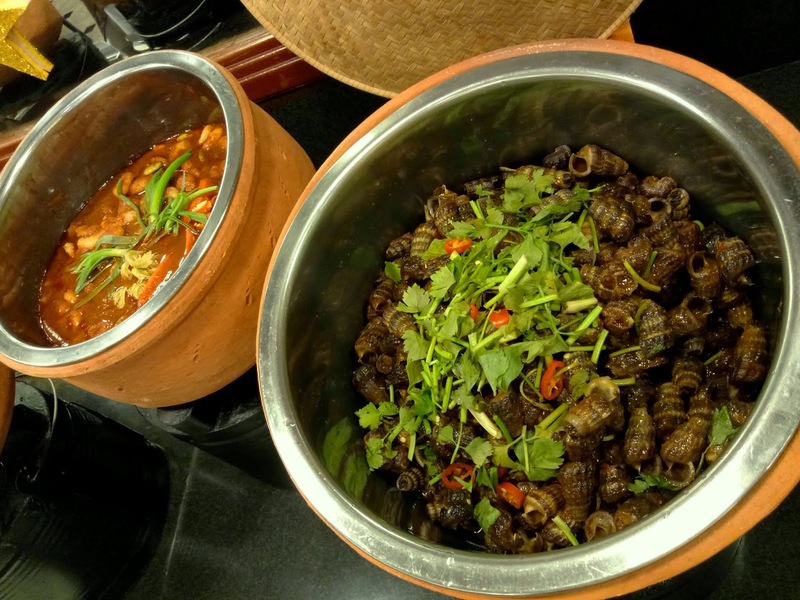 The sea snails are stir-fried with chili peppers to produce fiery aroma. The snail's flesh can be extracted by sucking the larger opening of each shell. Meanwhile, Sambal Udang Petai is an interesting combination of three delectable ingredients: sambal (chili paste), shrimps and petai (stink beans). 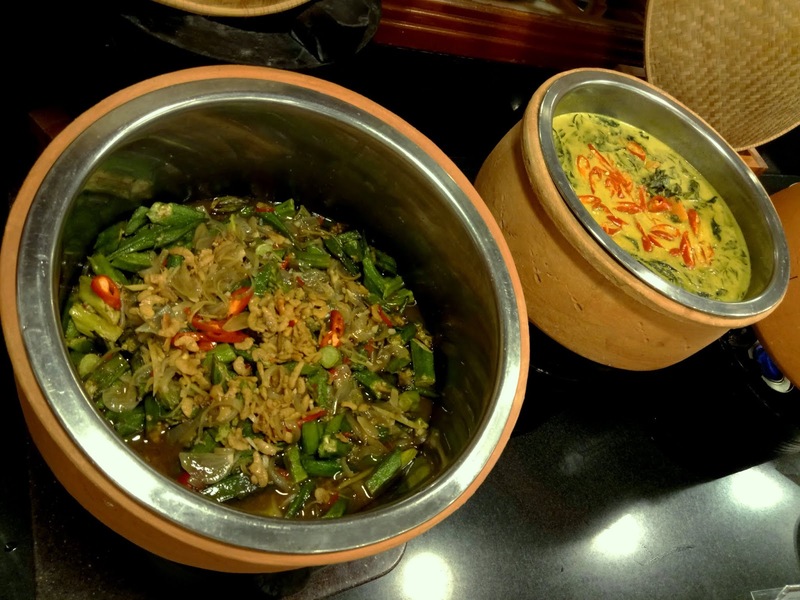 Daun Asin-Asin Masak Lemak uses creamy gravy that is prepared from coconut milk and spices like turmeric. 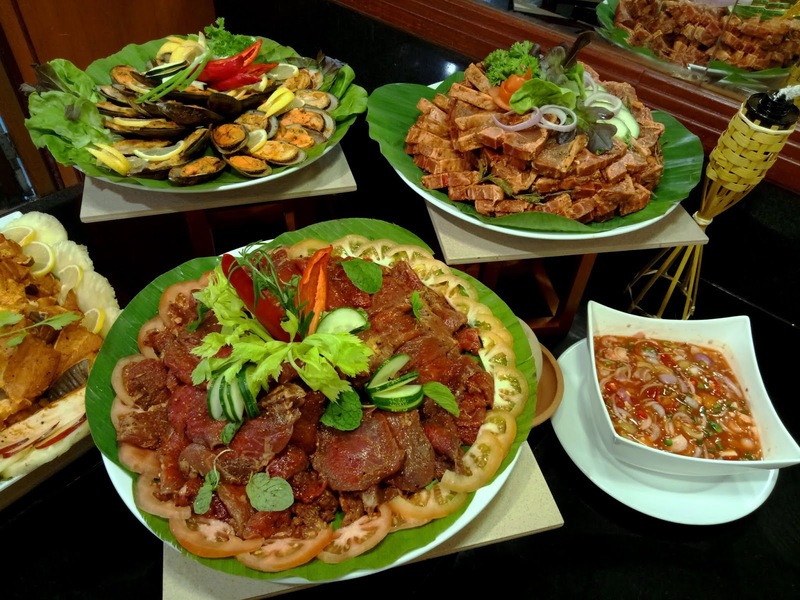 The vegetable involved is cekur manis (sweet leaves), which is soft and silky in texture. As for Bendi Goreng Pedas, okra (lady's fingers) is stir-fried with dried shrimps and red chili peppers. Ulam-ulaman is often served during iftar meals. Several types of raw vegetables are provided, most notably daun pegaga (Asiatic pennywort leaves) and jantung pisang (banana flower). 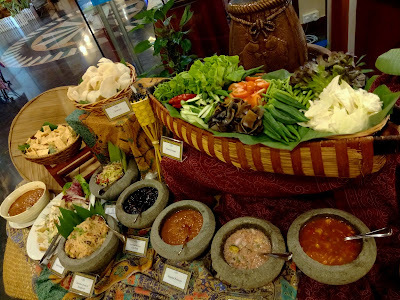 The vegetables are usually eaten with dipping sauces like sambal belacan (spicy shrimp paste) and cincalok (fermented shrimps). Also prepared today are kerabu (Malay salad), tauhu sumbat (stuffed tofu) and keropok (crackers). 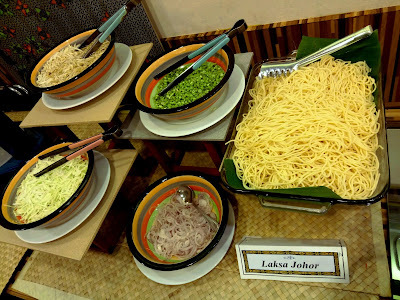 This evening, the noodle station features Laksa Johor. The most peculiar aspect of Laksa Johor is the use of spaghetti instead of rice noodle. Apart from this, the spicy fish broth and other ingredients are pretty similar to Asam Laksa. 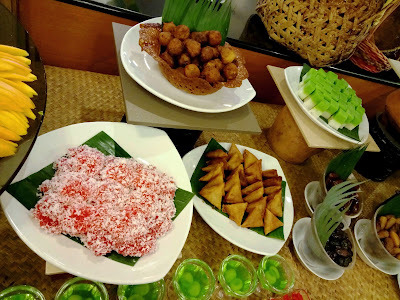 Traditional Malay kuih is also a vital aspect of Ramadan. The variety of kuih here is rather modest. Kuih sagu and seri muka are prepared to satisfy diners' sweet tooth. Meanwhile, fried items are cucur badak and samosa. As for Western pastries, the choices this evening are strawberry cheesecake, tiramisu, cream puffs and crème brûlée. There are also several types of custards and jellies. The fruits platter contains nangka (jackfruit), jambu air (rose apple), kiwifruit, pitaya, mango, pineapple, honeydew, watermelon, plums and grapes. 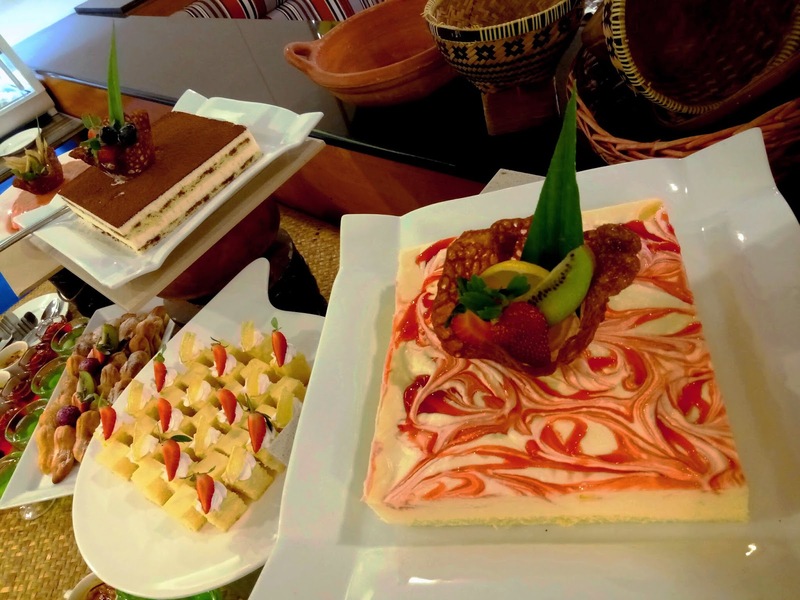 In addition, three varieties of kurma (palm dates) are provided. 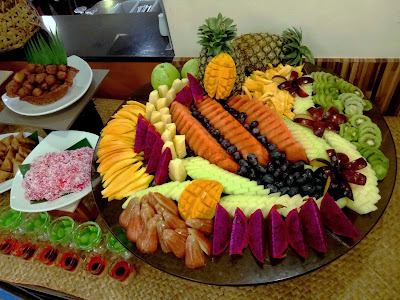 Fruit rojak and pickled fruits are also available. 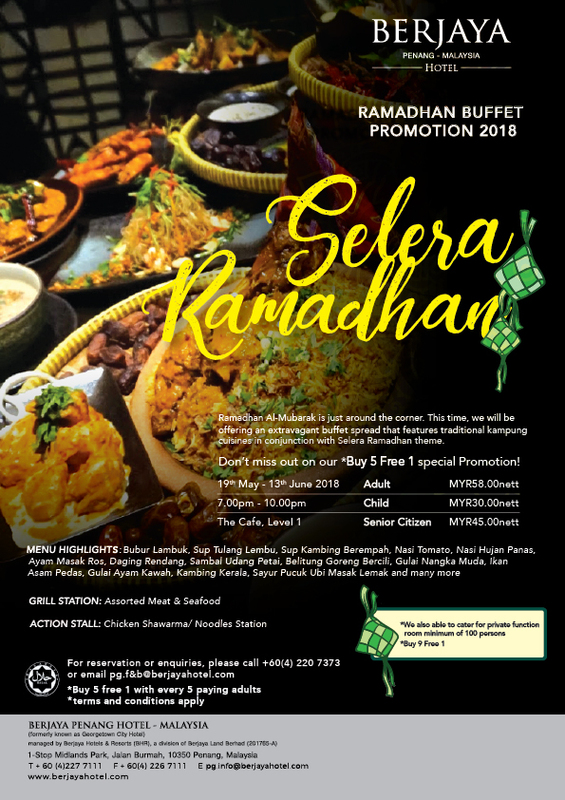 Berjaya Penang Hotel's Ramadan buffet dinner is priced at RM58.00 net per adult, making it one of the most affordable Ramadan buffets in town. Also for every 5 paying adults, the 6th person's deal is on the house! Directions: Berjaya Penang Hotel is adjacent to Midlands 1-Stop. The Cafe is located towards the right from the main entrance. There are ample of parking spaces at the basement. Diners at The Cafe can get their parking ticket validated for flat parking rate of RM3.00 for 3 hours.